I've created self-updating (once per hour) list of flashlight coupons! There is pretty useful "Lowest price ever before" column (according to my database). 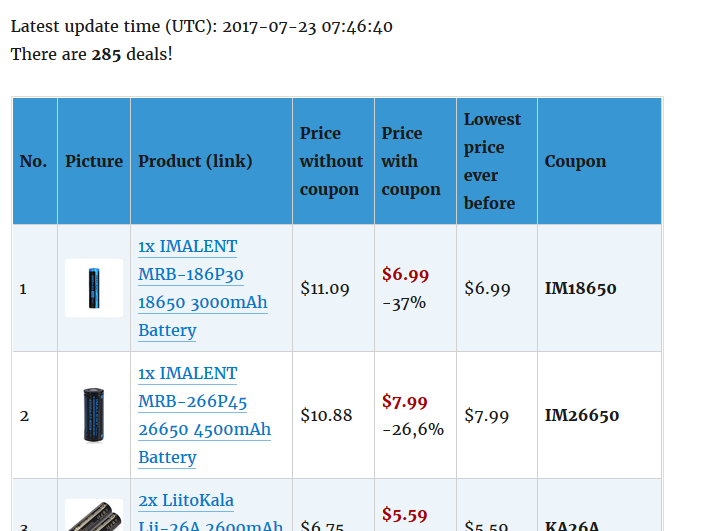 There are 285 deals ATM!